QRS/Quirius Haul~They're Up & Running! Top Photo: L-R from the top: Love is Blue, Royal Glitter, Cruiser, (bottom row) Caribbean Turquoise, Erin Island, Ivy, Belmont Garden. Bottom Photo: L-R from the top: The History Night, Sweet Mimosa, Sunshine Energy, (bottom row) Pearl Glitter, Black Coal, Glittering Rainbow, Moody Blue. Below: L-R from the top: Keep In Touch, Port Side, Deep Denim, (bottom row) Bazooka, Windsor, Princess, Tangerine. Below: Madam, Royal Love, Buckingham. I've always been fond of QRS/Quirius polishes, and I was getting a little concerned that they had been off line for some time. I kept checking their site weekly, so when I saw that they were back up, I placed an order. Their new site works very well and their customer service, which is one of the things I love about them, is still top notch. I received my order in just a couple of days and everything was very well packed. Their shipping rates are extremely reasonable (I ordered 13 polishes and the shipping was $2.00) and they also ship Internationally. Here are their rates if you're interested. Their polishes are priced at $3.00 each, or you can take advantage of their "Free Choice" set, which includes 6 polishes of your choice for $15.00, saving yourself $3.00. I noticed when I clicked on the 'my vouchers' section of my account just now, that I have a $3.00 credit based on this order and it has a note that says 'cumulative' next to it. So I take that to mean that you may get a small credit for every order you place. If anyone else knows about this, give us your take on what that means! 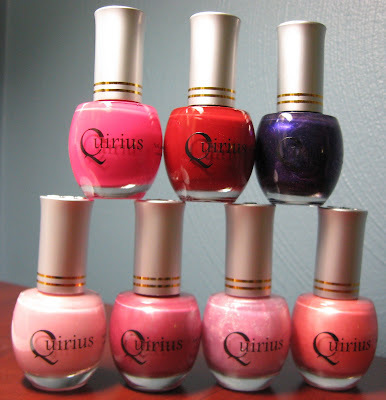 The other polishes I'm assuming were sent to me for review, so I'd better get busy. 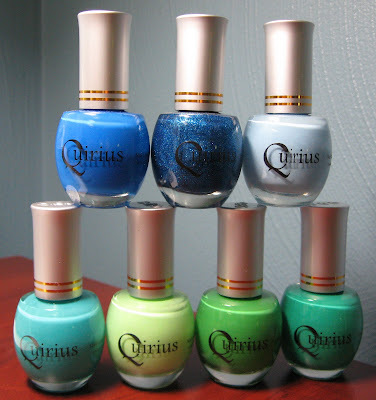 I already had 30 QRS polishes in my collection and I thought I had a good majority of the ones they offered, but either I'm losing my mind (always possible), or they've added quite a few more shades to their line up. How many of you have tried this brand before? 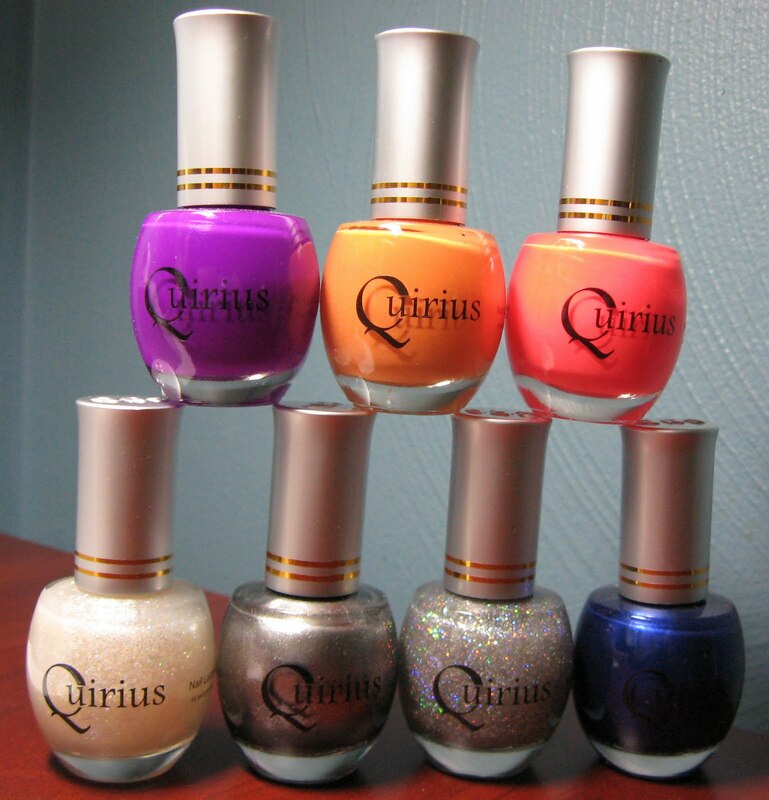 Some of my favorites are Orange Slush, Cresskill Eve, The Arabian Nights, and Autumn Bronze. Do you have any favorites? *Some of these shades were furnished by the manufacturer or PR firm for review. Those colors are beautiful. I like the price too :) Maybe I'll have to give them a try. WOW, these colors are beautiful and the prices is so reasonable! 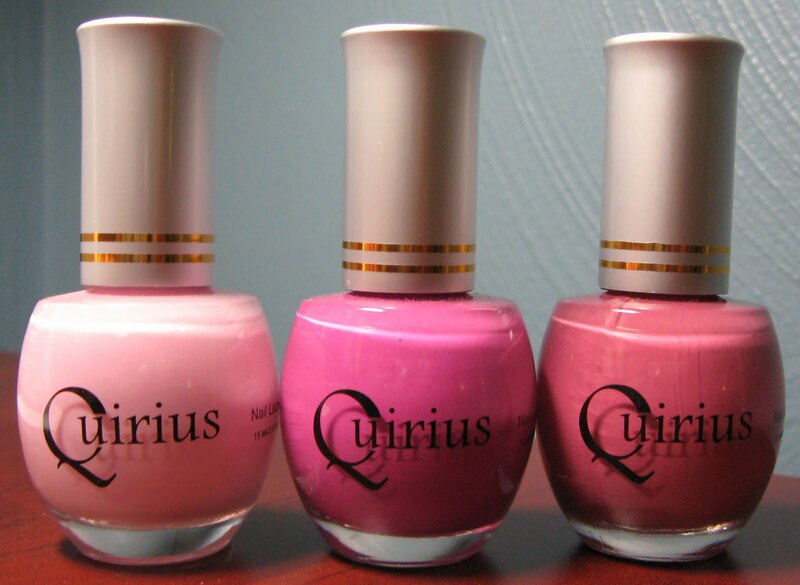 I'd like to see swatches of these and number of coats. I'd be interested in trying them. I am glad they are back! I like having those gems around - AND you got some stellar gems there!! I've never tried these. They all look so pretty. I believe I'll have to go and look at them. Today isn't a good day for doing that. I'm in a bunch of back pain and I'm vunerable to pretty polishes! Temptress!